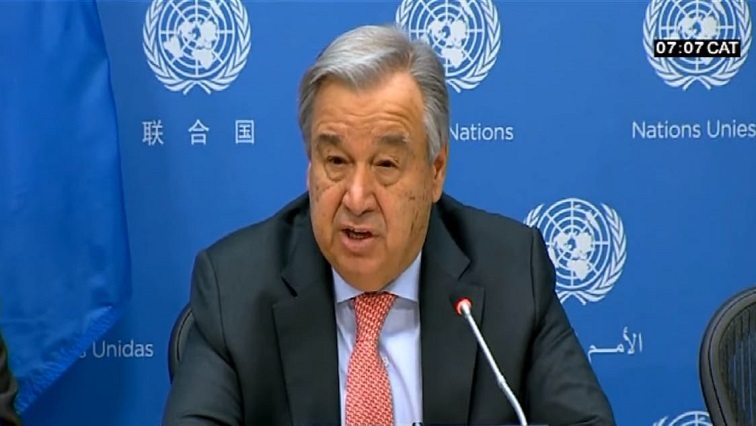 UN Chief weighs-in on Zimbabwe and Sudan situations - SABC News - Breaking news, special reports, world, business, sport coverage of all South African current events. Africa's news leader. Antonio Guterres also weighed in on the developing instability in Zimbabwe and Sudan over economic conditions and the election fallout in the DRC. The United Nations (UN) Chief says the biggest challenge that governments and institutions face today is to show that they care. Secretary General Antonio Guterres was addressing the media in his first press conference of 2019 in which he lamented the huge trust deficits in governments and international organisations due to growing inequalities leading to the rise of populist voices. He also weighed in on the developing instability in Zimbabwe and Sudan over economic conditions and the election fallout in the DRC. He acknowledged that many still see the United Nations as cumbersome and bureaucratic but affirmed that multilateralism was needed in the world today more than ever. Prescient remarks given the violent crackdown by authorities in Zimbabwe over worsening economic conditions and growing concern over possible electoral malfeasance in the DRC. “I do believe our position is consistent with what we have been saying. I will read you what I said two days ago to the General Assembly, it will be in French if you don’t mind – We hope now that the electoral process in the DRC will conclude without violence and with full respect for the will and decision of the people of the DRC and the legal and constitutional rules of the country. And I can only say that I hope this initiative as any other initiative contributes to these objectives,” says Guterres. He dismissed the sentiment that stability overrides the needs for democratic values to be upheld after a question about anti-government protests in Sudan that have, like in Zimbabwe, been met with live ammunition by authorities. “We encourage the government to be very attentive to the respect of human rights and to restrain any form of handling the demonstrations that can undermine those rights and can of course be dangerous to people. Sudan is in a complex situation to address this, there is a number of sanctions and a number of others, so I think that international support to Sudan linked to a clear perspective of human rights protection and of political dialogue would be very important,” says Guterres. On the State of Palestine seeking full membership at the UN, he believes the role of the Security Council will prove decisive with little prospect of success given a likely veto by the United States. Palestine currently holds the Chair of the G77 and China. This entry was posted on 19 Jan 2019,09:21PM at 9:21 PM and is filed under Politics, Homepage Featured Story Slider. You can follow any responses to this entry through the RSS 2.0 feed. Both comments and pings are currently closed.